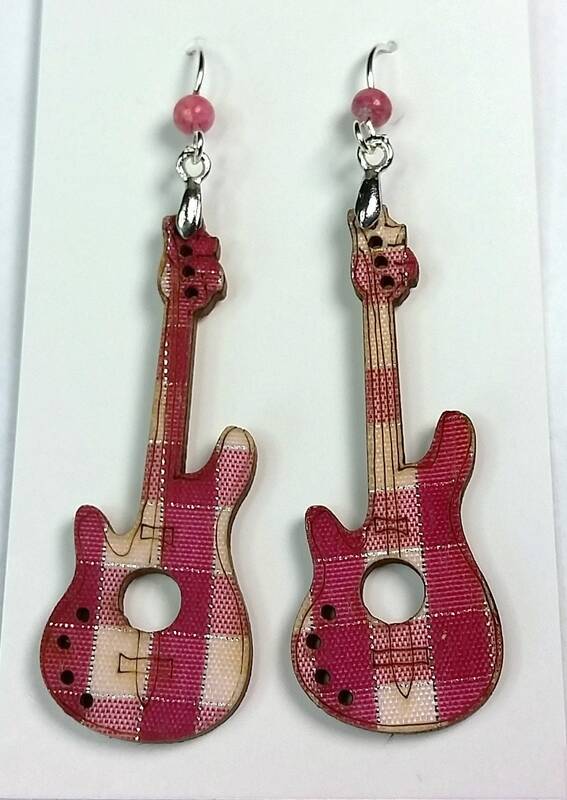 Perky, punky rocking pink plaid guitar earrings! 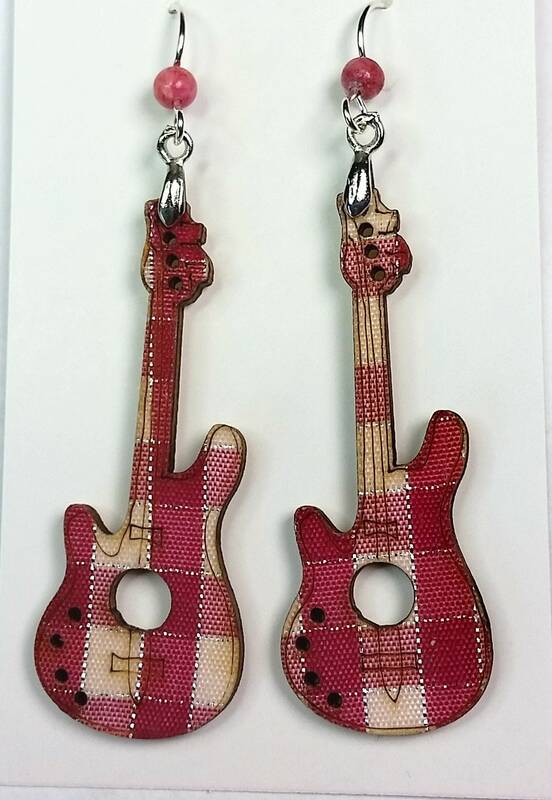 Who could ask for more! 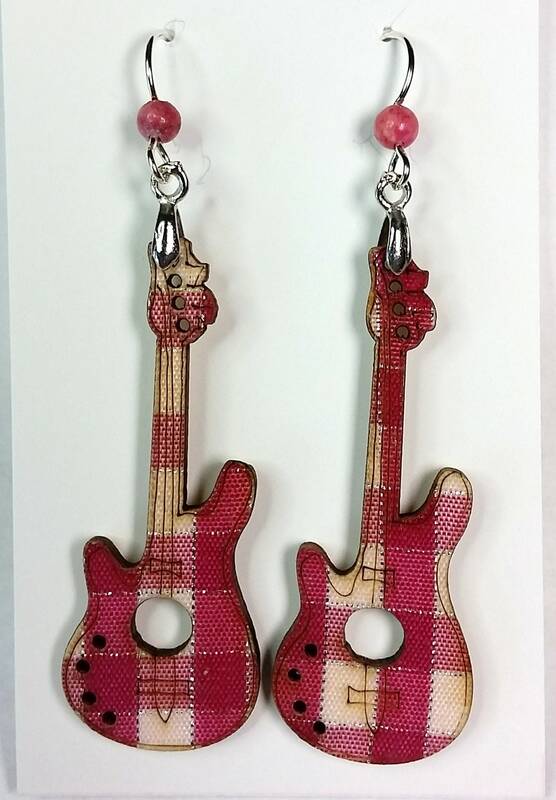 I "strung" these cuties onto sterling silver ear wires so you can rock all day and all night long! 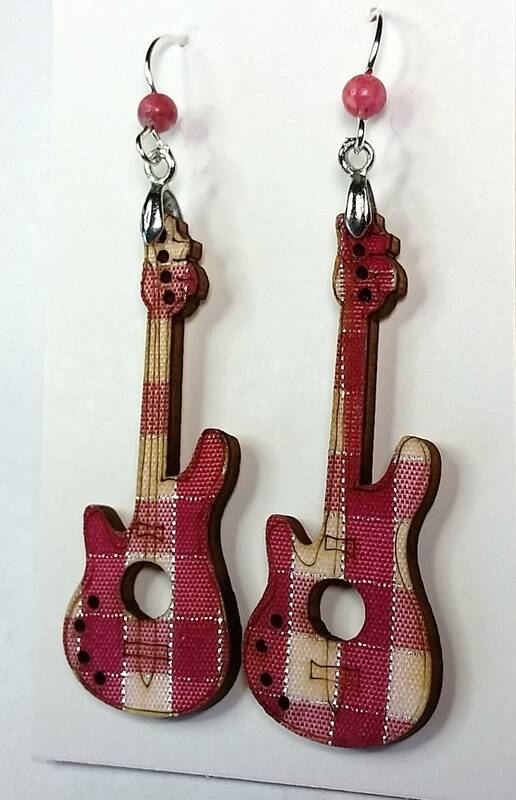 The plaid fabric is glued onto wood and has tiny drill holes where the peg heads go on the head stock, as well as on the face of the guitar where the volume and tone control knobs would be. 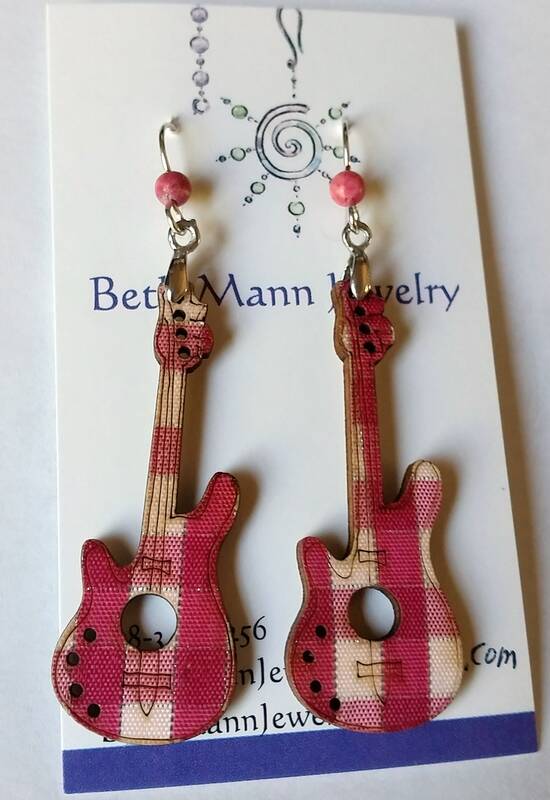 So adorably authentic in shape!